Uncontrolled allergies can cause a variety of symptoms including nasal congestion and progressing to recurrent sinus infections. 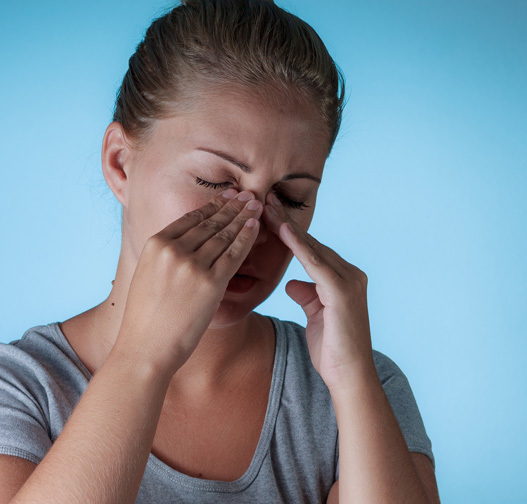 From headaches to malaise to chronic facial pressure, sinus infections and inflammation can manifest in a variety of ways. The following questionnaire is a good tool to better assess further these issues and how they are affecting your well-being. If you are concerned regarding allergies and sinus issues, please make sure to submit the results of the survey to us so we can help you address them. On this page you will find a list of symptoms and social/emotional consequences of your nasal disorder. We would like to know more about these problems and would appreciate your answering the following questions to the best of your ability. There are no right or wrong answers, and only you can provide us with this information. Please rate your problems as they have been over the past two weeks. Thank you for your participation.